The transmission is among the most complex and mysterious systems in any vehicle. When your car starts to develop transmission problems, you may have a difficult time identifying the source of the issue on your own. A transmission specialist that offers transmission repair in Bethesda can provide you with detailed information about how your transmission works and why it is broken. Bringing your car to a team of transmission experts will help you ensure that your repairs are performed correctly. To help you gather information for your upcoming appointment, here are answers to some common questions about transmission repair. How Can I Avoid Transmission Problems? One of the most common questions about transmission repair is how to avoid transmission problems in the first place. While daily driving will place natural wear and tear on your car’s transmission, there are steps that you can take to avoid a transmission repair emergency. For example, you can eliminate excess strain on your transmission by avoiding extreme driving conditions whenever possible. Should I Repair or Rebuild My Transmission? After your transmission specialist has completed a diagnostic analysis of your car’s transmission, he may recommend that you repair or rebuild your system. While minor transmission problems may be eligible for repair services, a major issue could require that you have your system completely rebuilt. As a general rule, transmissions that have more than 150,000 miles are typically rebuilt, rather than repaired. After your rebuild, your car should drive like a brand new vehicle. Why Are Professional Transmission Repairs Important? If you are handy with automotive repairs and tools, you may be considering tackling your transmission repairs on your own. However, transmission repair is a service that should not be performed by an amateur. With services from a trained technician, you can avoid damage to the highly sophisticated electronics and other components that make up your car’s transmission system. Transmission problems can severely impact the drivability and overall safety of your vehicle. While you may be tempted to bring your vehicle to your regular mechanic when you are having transmission troubles, it is actually a great idea to schedule repairs at a transmission shop in Rockville . A transmission repair shop will be equipped with the facilities that are needed to perform all types of auto transmission repair. By leaving your repairs to a transmission specialist, you can make sure that your transmission is fixed and your car gets back on the road. Let’s review some of the top reasons why you should visit a transmission specialist for your repairs. Today’s modern transmissions are hooked up to sophisticated computer systems. 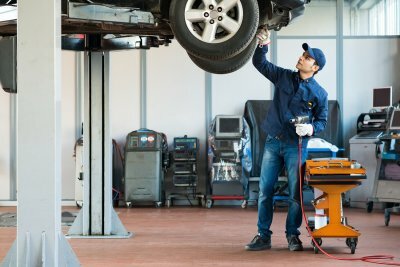 When you bring your car to a transmission specialist, he will be able to perform a complete and thorough diagnostic of your transmission’s computer system. The advanced diagnostic equipment that is available at your transmission specialist will ensure that you get a proper diagnosis of your repair issue. The many moving parts of your transmission may need to be replaced as they wear down over time. By choosing to bring your vehicle to a transmission specialist, you can rest assured that your mechanic is repairing your transmission with the best quality parts that are available. Your transmission repair facility will be equipped with all of the OEM parts needed to restore your vehicle back to peak driving condition. Performing transmission repairs requires hard work and dedication on behalf of your mechanic. When you visit a transmission specialist, you will have the confidence that comes from knowing that your mechanic is very experienced in the art of transmission repair. Your mechanic will be able to find innovative solutions for any transmission problem that may be troubling your vehicle. Overall, professional transmission repair is a smart solution for any car owner. If you are like many car owners, chances are that you may be slightly baffled by your car’s transmission systems. In fact, the automatic transmission is one of the most complex and sophisticated parts of any vehicle. By learning a bit about how your transmission works, you will be able to identify transmission problems before they become serious. A transmission shop that offers rebuilt transmissions and auto transmission service near Bethesda will be able to answer any questions that you may have about your car’s transmission. Read on for an overview of some of the basic components of your car’s transmission. At the heart of any automatic transmission lies the planetary gear set. The planetary gear set gets its name due to its striking similarity to the way that our plants orbit around the sun in the solar system. Each planetary gear set is composed of a sun gear and planet gear. These gears arrange themselves in different combinations as you travel down the road and change speeds. Unlike a manual transmission, which contains a clutch, the automatic transmission is equipped with a component that is called a torque converter. The job of the torque converter is to deliver power from a car’s engine to its transmission system. When the engine is idling and the car is not in motion, the torque converter absorbs the engine’s energy and prevents it from stalling. If your car experiences torque converter issues, you may find that your vehicle drives erratically. Every automatic transmission requires transmission fluid in order to operate. The transmission fluid is controlled by a component that is known as the valve body. In order to push transmission fluid through the system, the valve body opens and closes as needed. Modern transmissions have computerized systems that control the valve body functions, as well as many other essential operations of the transmission system. Transmission problems can put a halt to your car’s ability to drive. In this video, you will learn some essential tips for diagnosing a transmission problem in your vehicle. Due to the intricate nature of today’s transmissions, it is important to bring your car to a transmission specialist when it is in need of repairs. Your transmission repair shop in Silver Spring will have the diagnostic equipment that is needed to pinpoint any transmission problems with your vehicle. Overall, bringing your car to a transmission specialist will save you time and money on the cost of repairs. 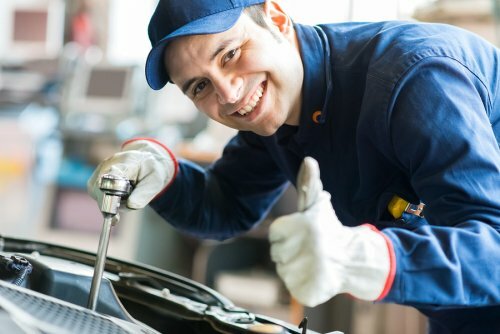 By locating the issue at its source, your transmission expert will be able to recommend the best possible repair solution for your vehicle. A transmission replacement is among the most dreaded services that can be required for your vehicle. Due to the complex nature of your transmission, your transmission shop near Rockville will need to charge you a more expensive rate for this type of transmission repair. Even though rebuilt transmissions can be costly, you can trust that your transmission shop will restore your vehicle to reliable driving condition once your transmission replacement is completed. A transmission replacement will solve even the most severe transmission problems that may be troubling your vehicle. If you are gathering information about transmission repair, read on for a breakdown of the expenses associated with transmission replacements. One of the major expenses associated with transmission repair is the cost associated with hiring a technician to completely disassemble your existing transmission. From the gears to the planetary gear set and torque converter, your car’s transmission is constructed from highly complex and delicate components. Since it may take several hours to safely disassemble your car’s transmission, this part of the transmission replacement process may account for a considerable portion of your expenses. When your mechanic recommends that you replace your transmission, there is a high likelihood that nearly all of your transmission components are in need of replacement. Since a transmission is made up of so many parts, the cost of purchasing replacement components can add up quickly. In order to save on replacement parts, you may want to ask your mechanic about the possibility of purchasing used parts for your transmission. Installing your new transmission will take time and expertise on behalf of your transmission repair specialist. In order to restore your vehicle to proper operating condition, your technician will need to make sure that all of your replacement parts are precisely installed. Once you experience the improved performance that your new transmission has to offer you, you are sure to feel that the costs associated with transmission replacement were worth every penny. When transmission problems start to affect your vehicle, you may be faced with the difficult choice of repairing or replacing your transmission system. While transmission repair can help to restore transmissions that are experiencing more minor problems, a major transmission issue may require you to replace your transmission . 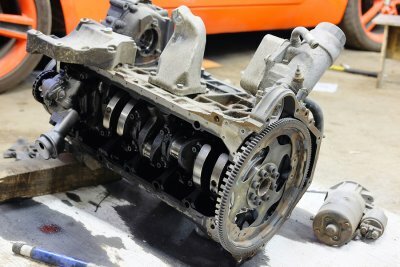 Rather than purchasing a brand new transmission for your car, you may want to ask your transmission shop in Bethesda about the benefits of rebuilt transmissions. To help you prepare for your appointment at the transmission shop, here is a look at the many advantages of a rebuilt transmission. A full transmission replacement can be a costly procedure. If you are dreading the cost of replacing your car’s transmission with brand new components, you may want to ask your technician whether your car is eligible for a transmission rebuild. 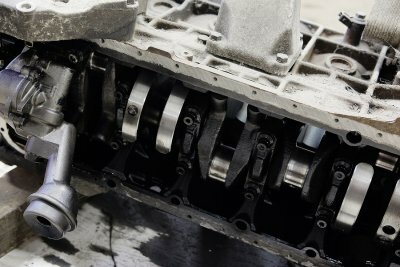 A rebuilt transmission will be composed of recycled and repurposed components, making this type of transmission an economical choice for most drivers. Overall, a rebuilt transmission can save you significantly on the costs of your repairs. When your car’s transmission is experiencing transmission problems, its performance may be severely compromised. Transmission troubles can cause your car to slip in and out of gear, stall, or produce strange sounds and smells. After your transmission shop rebuilds your transmission, you will find that these performance issues have been completely resolved. A rebuilt transmission will provide you with reliable and safe performance for every mile that you drive down the road. In order to create brand new transmission components, many important natural resources must be used. Rather than equipping your vehicle with a brand new transmission system, you can help the environment by choosing to recycle parts into your rebuilt transmission. During a transmission rebuild, your technician will expertly repurpose quality used parts for your transmission system. When you are seeking an environmentally friendly and cost effective repair option, a transmission rebuild may be the choice for you. Automatic transmissions are popular choices for many of today’s modern vehicles. When you watch this video, you will learn all about how your automatic transmission works. In order to provide your vehicle with smooth and efficient shifting, your automatic transmission is equipped with a component that is called a planetary gear set. If your planetary gear set is having trouble regulating its input or output, you may find that you need to visit a transmission shop near Silver Spring. With services from a transmission shop near you, you will be able to address any transmission problems that may be affecting your vehicle. A transmission specialist will have the training and tools that are needed to address any types of transmission issues that may be affecting your vehicle’s performance. Engine and transmission problems can dramatically affect the safety and performance of your vehicle. This video will provide you with a detailed overview of how to deal with an engine or transmission problem in your vehicle. 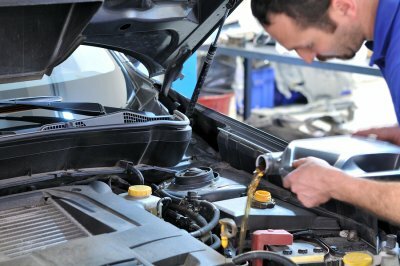 Before you make an appointment with a transmission specialist near Silver Spring, you may want to evaluate your car for some signs of common engine or transmission issues. More complicated problems can be identified using a computer diagnostic system. Once your transmission mechanic has identified the source of your car’s mechanical problems, you will be ready to embark on your transmission repair procedure. More serious transmission problems may require your transmission to be completely rebuilt. Using the latest equipment, a transmission repair professional will be able to reverse your transmission issues and get your car back out on the road.